*Can't make the Music Box dates? You've got one more chance at Northwestern. 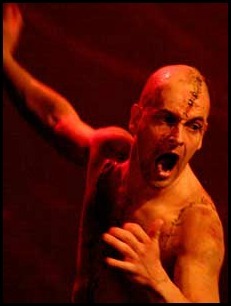 SAVE 20% ON THE NATIONAL THEATRE LIVE BROADCAST OF FRANKENSTEIN! This fall, CBS is set to unveil a new modern day version of Sherlock Holmes, "Elementary," set in New York and starring Jonny Lee Miller and Lucy Liu. Check out the trailer below.